Before last November, once-bestselling authors Alvin and Heidi Toffler had fallen into relative obscurity. They were interviewed regularly by publications like Information Week and The New Perspectives Quarterly but not by The Washington Post or U.S. News and World Report. Their last book, War and Anti-War, had landed on remainder tables after a year. Like W. Edwards Deming, they were better known in Japan than the United States. But all that changed when Newt Gingrich became Speaker of the House. Cast as his mentors—Gingrich has been an acknowledged devotee for over two decades—the Tofflers are being scrutinized for clues about the Speaker's true convictions. The New York Times Magazine ran an adulatory interview with the Tofflers; The Boston Globe profiled the "odd trio" they made with Gingrich. A slim anthology, Creating a New Civilization, with an introduction by Gingrich, became a best-seller. Alvin Toffler, who is 66 but looks at least a decade younger, is delighted by this new surge of attention. "It's like telling a joke and finally being able to deliver the punch line," he told me during a recent visit to Washington. But the price of such attention has been willful misunderstanding of their work. Liberals cite Gingrich's admiration of the Tofflers as further proof of his wackiness. In a Los Angeles Times column on Gingrich, Robert Borosage, a fellow at the Institute for Policy Studies, pronounced Alvin Toffler's major book, The Third Wave, a "melange of pulp sociology, pop culture, and hot facts." Staid conservatives attack the Tofflers to express their disapproval of Gingrich's futurism and libertarianism. "I've never understood [the Tofflers]," former Secretary of Education William Bennett told The New York Times last December. "I've always regarded it as the emperor's new clothes. If futurists are really futurists, why do they bother writing books? Why don't they play the market?" Pat Buchanan is even more dismissive, labeling the Tofflers' work "some kind of nonsense." These are predictable reactions, but the Tofflers deserve better. They are not academic social scientists, but that shouldn't necessarily be a drawback at a time when so much of academic social science is dominated by neo-positivism and bad French philosophy. They certainly aren't world-historical geniuses on the order of de Tocqueville or Weber, but they are serious students of economic history whose work is much closer to Daniel Bell and Peter Drucker than to John Naisbitt and George Gilder. During the '60s, they were among the first to understand the dramatic changes in work and society created by computer technology. Alvin Toffler authored studies for IBM, Xerox and AT&T that anticipated by decades the problems of technological unemployment and bureaucratic stasis. The Tofflers are often described as "popularizers," but it's usually their own ideas they are condensing into slogans and catchwords. Alvin Toffler was among the first to write about the rise of home offices (the "electronic cottage"), "flextime" and team work, and the growth of a new "infosphere" that melded computers, televisions and telephones. Some of their recent work is seriously flawed, but the first big books that Alvin Toffler wrote—Future Shock (1970) and The Third Wave (1980)—still stand up under scrutiny. While Gingrich's fascination with the Tofflers' ideas does reveal something about how the Speaker thinks, it is also misleading to identify the Tofflers' philosophy with that of conservative Republicans. Alvin and Heidi Toffler began as Marxists and spent five years during the 1950s organizing workers in Ohio factories. They are no longer either Marxists or socialists, but like Marx they see history as consisting of progressive stages, propelled forward by underlying changes in the way people produce goods, services and ideas. Like Daniel Bell, C. Wright Mills, Christopher Lasch and James Burnham, the Tofflers have tried to go beyond, rather than simply repudiate, Marx and the Enlightenment. In this, they are diametrically opposed to many American conservatives from Russell Kirk and Leo Strauss to Pat Buchanan and Pat Robertson, who regard the past as paradise lost. The Tofflers insist that they are neither Republicans nor Democrats. They say—and anyone who reads their work will concur—that they are as close politically to Al Gore as they are to the Republican leadership. Since the '60s, the Tofflers have argued that American politics and economics were based on obsolete models drawn from the country's industrial past. That has put them roughly equidistant from Democratic traditionalists who see the country's hopes in the revival of the urban factory and Republican conservatives who want to restore the small-town America of the 1950s. As they wrote of Democrats and Republicans last year, "One side still dreams of River Rouge, the other dreams of Ozzie and Harriet." After college, where both had worked for Henry Wallace's Progressive Party, the Tofflers set out for a factory in Cleveland that made window fans. In those days, college students didn't just go off by themselves to organize, but Alvin Toffler repeatedly dodged my questions about what political group he was working for, asking finally, "Are you from the FBI?" I concluded from what he said, and from coy hints, that he either belonged to or worked very closely with the Communist Party. When I asked him if he studied at NYU with the socialist—but militantly anti-Communist—philosopher Sidney Hook, he said he thought then of Hook as a "terrible reactionary." When I asked him if he had been a Trotskyist, he said Trotskyists were the "bad guys." He also said he would have quit the factory after two years but that during the McCarthy witch-hunts he felt obliged to stick by his organizing friends: "It was one thing to change your ideology; it was another thing to change your friends and rat on them." While in Ohio, the Tofflers abandoned the promise of socialist revolution. "It became apparent that the immiseration of the worker wasn't happening," Toffler said. "We either had to give up the theory or give up on reality." Equally important, they abandoned the vision of the urban factory as the prototypical social institution—a vision shared in the twentieth century by both Marxists and liberals. What they retained was Marx's systematic approach to history. "The most important thing I learned," Toffler aid, "was that there were ways of looking at history as something that was more than episodic. We came away with the idea that there is such a thing as a model and that you could think of social change in a systematic way." By the early '60s, Toffler had become a journalist, writing for publications from the West Virginia Labor's Daily to Fortune magazine. He had also become interested in how new technology was altering everyday assumptions about work, family and government. He got to know Kenneth Boulding, Bertram Gross and a group of thinkers at Rand who saw themselves as "futurists" trying to chart this new reality. In 1965, Toffler wrote an article for Horizon, a glossy monthly, called "The Future as a Way of Life," in which he introduced the concept of "future shock" (the analogy he drew was to "culture shock.") The article won him a $15,000 book contract from Random House, and Toffler spent the next five years writing Future Shock. It would become a best-seller and along with its successor, The Third Wave, constituted an extended argument for bringing American politics in line with this new reality. In Future Shock, influenced in its style by the pioneering sociological journalism of William H. Whyte and Vance Packard, Toffler argued that Americans were witnessing an "acceleration of change" that was not only transforming industries and nations but upsetting century-old patterns of social and economic life. As late as the 1950s, Americans could still expect to stay in one job for their entire life, live in one town, perhaps in the same neighborhood and house, and surround themselves with the same family, friends and possessions. Little girls clung to one Raggedy Ann throughout their childhoods. Men kept a favorite Parker pen for decades. Cars were repaired rather than replaced. Not everyone enjoyed this kind of stability, but those who did not, like the recent immigrants from Eastern Europe, could reasonably aspire to it. As Toffler argued in Future Shock, this pattern of life eroded dramatically after World War II. Workers began to change jobs, homes, friends and even families several times over a lifetime. Products were no longer designed for a lifetime of use but, like Bic pens or disposable diapers or latest-model Barbies, were made to be used briefly and then discarded. Individuals were no longer bound together socially by class and ethnic origin, but sought to transcend these bonds by changing their "lifestyles" and even their personalities. Businesses were no longer structured according to strict vertical hierarchies but by what Toffler called the "adhocracies" of project teams and consultants. Accelerated change had created a new freedom from the kind of standardization and regimentation that social critics associated with the older industrial era: "The people of the future enjoy greater opportunities for self-realization than any previous group in history." But it also created anxiety. "Future shock is the dizzying disorientation brought on by the premature arrival of the future," Toffler wrote. "It may be the most important disease of tomorrow." Toffler identified a variety of future-shock symptoms, including "the spreading use of drugs, the rise of mysticism, the recurrent outbreaks of vandalism and undirected violence, the politics of nihilism and nostalgia, and the sick apathy of millions." Much of what Toffler wrote in Future Shock is now accepted common sense, but at the time it defied conventional views of reality. Even during the '60s, most Americans still held an image of their society borrowed from the industrial past. The common image of white-collar work—of humdrum conformity and regimentation—was derived from Whyte's The Organization Man. Americans' deepest fears of the future were expressed by George Orwell's lockstep world of 1984. In the first major new-left protest, Berkeley's Mario Savio railed in 1963 against being "standardized, replaceable, and irrelevant." But Toffler, who had spent five years in a factory, understood that Americans' greatest problem was not being consigned to the tedium of the assembly line or the office. As he put it: "The problem is not whether man can survive regimentation and standardization. The problem ... is whether he can survive freedom." As a veteran of the left, Toffler also understood the superficiality of '60s radicalism. He saw both the new-left counterculture and new right of Barry Goldwater and George Wallace as expressions of nostalgia. "The middle-aged right-wing reversionist yearns for the simple, ordered society of the small town—the slow-paced social environment in which his old routines were appropriate. The youthful left-wing reversionist dreams of reviving an even older social system. This romanticism fills the posters and poetry of the hippie and post-hippie subcultures." For all these strengths, however, Future Shock suffered from the fleeting preoccupations of the era in which it was written. While Toffler's view of underlying change was correct, he read far too much into the social hysteria of the '60s, which was triggered not simply by the transformation of work and family but by the enormous upheaval of the civil rights struggle and the war in Vietnam. When the war ended, much of the outward hysteria that Toffler identified with mental illness passed, but the anxiety remained. It was evidenced, among other things, by the development of doomsday environmentalism and the growth of fundamentalist and Pentecostal Protestantism (Hal Lindsey's apocalyptic The Late Great Planet Earth, published in 1970, was the runaway best-seller of the decade). When he wrote Future Shock, Toffler was also in the grip of a facile futurism. He confused the technologically possible with the historically probable, ignoring the mesh of social relations in which technological change takes place. Some of Toffler's predictions in Future Shock were remarkably prescient, but others reflected a daffy technological determinism—his predictions of widespread genetic cloning and of undersea colonization, for example. But in his next book, which took a decade to produce, Toffler offered a subtler, less crankish view of change. While Future Shock was written in the inductive style of journalism, moving from anecdote to observation to explanation, The Third Wave is written deductively as a theory of world history, beginning with certain structural principles and then proceeding from agricultural through industrial through "super-industrial" society. The mood of The Third Wave is also different. While Future Shock suffered from the hysteria and hype of the '60s, The Third Wave is much more dispassionate and sunny. The book, Toffler wrote, was based on the "assumption that we are the final generation of an old civilization and the first generation of a new one, and that much of our personal confusion, anguish, and disorientation can be traced directly to the conflict within us, and within our political institutions, between the dying Second Wave civilization and the emergent Third Wave civilization that is thundering to take its place." At its worst, The Third Wave is Panglossian; at its best, it describes a future that is only now emerging. In Toffler's conception, First Wave civilization is devoted primarily to agricultural production for immediate use rather than sale. Its center of production is the land and home, and the family itself is the basic unit of production. Time and labor are governed by sunlight and the seasons, and nature is feared and sometimes worshiped. The Second Wave corresponds to industrial capitalism and Soviet socialism, where the factory and city become the centralized centers of production for exchange, regulated by the state. The division between home and work is clearly demarcated; workers become interchangeable components; and nature is seen as an antagonist to be subjugated. In Third Wave societies, the factory and city recede. Workers, no longer interchangeable, are valued for their skill and knowledge; goods production, no longer bound by centralized systems of energy production or transportation and directed toward specialized markets, becomes decentralized. Just as in the First Wave, work begins to be done at home but this time as part of a global computer network. And within the home, consumers also assemble their own furniture, appliances, clothes and electronic equipment out of the components they buy on the market. The corporation is also transformed. As knowledge and skill become central to authority, corporate hierarchies become flattened. Workers participate in management decisions, and management itself is more loosely structured around project groups. Family life grows much more idiosyncratic and diverse, encompassing traditional nuclear families, gay marriages, communes and single parents. Schools are more individualized and more closely linked to the home. "Symbiosis or harmony with the earth" emerges as an important goal. Government changes accordingly. It no longer caters to an undifferentiated mass clientele but to competing minority interests. Many of the central government's functions are either privatized or shifted back to regions and states where they can be more closely tailored to voters' needs. The power of the nation-state also shrinks, as control over trade and matters such as environmental regulation shifts to supranational bodies or simply to the anarchy of global financial markets. "What appears to be emerging is neither a corporation-dominated future nor a global government but a far more complex system similar to the matrix organizations we saw springing up in certain advanced industries," writes Toffler. In The Third Wave, Toffler was borrowing and discarding parts of the Marxist legacy in order to create a new historical synthesis. His distinction between industrial and agricultural societies and his characterization of Second Wave production were pure Marx. Toffler also used a loose version of the Marxist distinction between base and superstructure—between the overall sphere of production, on the one hand, and all other areas of social and political life on the other. The "de-massification" of government and the family reflected the "de-massification" of production. There is also a striking resemblance between Toffler's concept of the Third Wave and Marx's somewhat inchoate view of communism. Just as Marx's communism represented a return to an earlier form of tribal communalism, the Third Wave represents a return to elements of the First Wave. But while Marx's communism was a millennial utopia, based upon the achievement of an overwhelming abundance, Toffler's Third Wave is an attempt to look realistically beyond the factory-dominated stage of industrial capitalism. Toffler also rejects the idea of class struggle as the key to moving from one historical stage to another. The conflict he sees is more likely to be between than within successive waves, and members of different classes are more united than divided by the industries they work in. "Representatives of the Third Wave would include everybody from Bill Gates to a receptionist at Microsoft," he explained. "The Second Wave camp still includes a majority of the nominal power-holders in our society—politicians, businessmen, union leaders, educators, the heads of the mass media," Toffler wrote in The Third Wave. "The advocates of the Third Wave are more difficult to characterize. Some head up major corporations while others are zealous anticorporate consumerists. Some are worried environmentalists; others are more concerned with the issues of sexual roles, family life, or personal growth. Some focus almost exclusively on the development of alternative energy forms; others are mainly excited by the democratic promise of the communications revolution." Toffler's politics in The Third Wave defy easy categorization. He's not a fierce opponent of federal government but does want many of its functions contracted out, devolved onto localities or moved upwards into transnational organizations. He places a "high priority on environmental programs" and favors tough regulation and government support for renewable, decentralized energy forms. He favors "legitimate options to the nuclear family." He thinks the old industrial labor unions have become obsolete and posits new community organizations that would reflect the growing power of the home. He wants electronic networks to lay the basis for a "direct democracy." His vision is that of an electronic community bound together by the confluence of home and work, but unlike older close-knit communities, committed to free speech and expression, without which the knowledge-based industry of the Third Wave cannot flourish. In The Third Wave, Toffler was at his most provocative and persuasive describing how the new technology—the forces of production—are altering every facet of economic and social life. Though he finished The Third Wave three years before IBM introduced a $5,500 personal computer, Toffler fully anticipated the rise of the PC. "Home computers will soon be selling for little more than a television set," he wrote. He also anticipated the rise of cable and of a national information highway and the proliferation of computer chips. "The giant centralized computer with its whirring tapes and complex cooling systems ... will be supplemented by myriad chips of intelligence, embedded in one form or another in every home, hospital, hotel, every vehicle and appliance, virtually every building brick. The electronic environment will literally converse with us." Toffler was at his least persuasive describing how the Third Wave would impinge on larger political-economic structures. He argued, for example, that under the Third Wave the economy was being "radically decentralized." His observation was right on target when it came to individual firms: operations were being decentralized as divisions were spun off, sometimes shipped overseas, and work at home was accelerating. But within the economy as a whole, control of capital was being further centralized. Even the computer industry—once a myriad of small creative start-ups and the inspiration for the '80s myth of the small entrepreneur—is increasingly dominated by a handful of software and hardware giants. Similarly, while Toffler was certainly prescient in seeing a trend toward home production, he overreached when he argued that the labor involved in assembling commodities at home would bring the "power of the market ... into question." Toffler was still bewitched by Marx's model of a pure, "market-less" communism. Consumers who put together bicycles bought at Sports Authority or build decks from materials purchased at Home Depot are not exactly bringing the market into question. They are merely making it easier for companies to produce and sell goods on a modular basis that can be adapted to different markets. When a family fills out a will at home using a computer program rather than employing a lawyer, they may be depriving lawyers of market income, but they are also enriching the market for software or CD-ROMs. Toffler's portrayal of the home worker is also misleading. There is a vast difference between the programmer who works at home and the telemarketer who answers direct-mail product queries at home for L.L. Bean or Ticketmaster, yet both are products of the Third Wave. Put the image of the programmer together with that of the decentralized company and you get Toffler's halcyon view of Third Wave democracy. Put the telemarketer together with the new breed of highly centralized computer or retail conglomerates and you get a specter of powerlessness that recalls the textile piece worker of the early industrial revolution. Toffler was equally Pollyannish about the Third Wave's effect on underdeveloped countries. In The Third Wave, he held out the promise of "Gandhi with satellites"—of First Wave countries vaulting over the Second Wave entirely. "Tomorrow's development strategies will come not from Washington or Moscow or Paris or Geneva but from Africa, Asia and Latin America," he wrote. Toffler's optimism about such a prospect made his book a best-seller in China, but it is surely unfounded. The Asian nations that have made their way into the Third Wave have done so by way of Second Wave industrialization. And the African countries that remain tied to agriculture and extractive industries do not seem good prospects for semiconductor factories or software development. They seem more likely to be left permanently behind or "decoupled"—a possibility that Toffler acknowledged in his later books. The same problem may affect workers and communities in the United States that are now cut off from super-industrial society. Toffler raised this point briefly in The Third Wave but limited himself to asking questions ("What about cities? What happens to unemployment figures?") rather than providing answers. He says the "problem remains insoluble within the framework of Second Wave economies," but it may be even more insoluble under economies that reward only highly skilled labor and make the central city irrelevant as an economic region. The alternative to Toffler's sunny vision in The Third Wave may not be not Orwell's 1984 but William Gibson's 1984 novel, Neuromancer, which portrays a world dominated by a few super-automated, giant transnational electronic firms, in which most citizens live out marginal, semi-criminal existences, playing arcade games, surfing the Net and taking and selling drugs. In the wake of The Third Wave's enormous success—it was a global best-seller—the Tofflers became international celebrities. Chinese party leader and reformer Zhao Ziyang sought their advice, as did Mikhail Gorbachev. They were, and still are, lionized in Japan. (At the Japanese restaurant where I took Toffler, our star-struck waiter recognized him from Japanese television and asked for his autograph.) Ted Turner claimed he'd gotten the idea for CNN from The Third Wave. Lucrative lecture invitations poured in. American politicians also paid homage. In the '70s, House Democrats sought Toffler's advice. In 1975, Representatives Charles Rose and John Culver held a conference on anticipatory democracy with Toffler as the featured speaker. Rose then started the Congressional Clearinghouse on the Future, which was chaired in the '80s by Al Gore. After The Third Wave, Republicans began to seek Toffler's advice. Republican operative Lee Atwater invited him to the White House to address the Domestic Policy Council. Later, he was invited to meet with Ronald Reagan and George Bush. Gingrich eventually became the most important of all Alvin and Heidi Toffler's boosters. The Tofflers first met him in 1971 when the Georgian, an instructor at West Georgia College and an enthusiastic reader of Future Shock, journeyed to Chicago to hear Alvin Toffler speak. Four years later, when Rose and Culver were looking for a Republican to attend their conference, Alvin Toffler suggested Gingrich. After Gingrich entered the House in 1978, he championed the Tofflers' ideas to Republican House members and to Pentagon generals who were interested in new electronic warfare. From that time, Gingrich and the Tofflers began a series of regular visits and discussions. According to Jeff Eisenach, the director of the Progress and Freedom Foundation and a close associate of both the Tofflers and Gingrich, Gingrich ended up influencing the Tofflers as much as they influenced him. Said Eisenach, "Newt has learned from them a great deal, and he has provoked them. There is no doubt over the course of that time, Al's views, at least, have gotten more clearly libertarian, increasingly skeptical of the role that government can play and the way government can play it." The adulation from abroad and the attention from Washington did not, however, have a particularly salutary effect on Toffler's work. The final book in his trilogy, Powershift, which came out in 1990, is his least impressive. Written in the journalistic style of Future Shock, it is filled with awkward neologisms ("cognitariat"), obscure acronyms (VANs, EDIs) and what read like soundbytes from the lecture circuit. Though ostensibly concerned with knowledge and power, it fails to maintain a single clear argument about either. Powershift suffered from Toffler's attempt to reflect the political fashions of the '80s. With even less justification than before, Toffler repeated the same fallacious arguments about corporate and financial power that he had made in The Third Wave. "The big corporation or company is no longer necessarily the central institution for the production of material wealth in the capitalist world," he wrote, just as the global auto industry was shrinking to a handful of companies and electronics firms were taking over entertainment and communications companies. Perhaps under Gingrich's influence, Toffler tried to come to terms with the anti-government sentiment of the Reagan years. In The Third Wave, he had accurately portrayed the power of the state being sapped from below and above. In Powershift, on the other hand, he portrays the state as the last bastion of Second Wave supremacy and as a force for reaction in its own right. The state, Toffler writes, "is in business to stay in power. Whatever the economic costs to the rest of us, it will seek ways to harness the latest communications revolution to its purpose." Sounding like Bakunin or Albert Jay Nock, Toffler warned that "we now face the ultimate political powershift. We can redesign democracy for the twenty-first century—or descend into a new Dark Age. One path moves power from the state toward the individual. The other threatens to shrink the individual to zero. Nothing in the foreseeable future is about to take the gun out of the hands of the state." Applied to the United States, where the civil service and military have historically wielded little power of their own and where the operation of the state has reflected—sometimes too transparently—competing interests within civil society, this is errant nonsense. It's also destructive nonsense. Like the family, the national government is in need of redefinition rather than demolition. The question is how the government can help ensure that the development of new Third Wave industries benefits all, or at least most, Americans, and not simply a few. With the decline of unions and the decentralization of work, the national government remains the dispersed public's main bulwark against the centralized power of transnational corporations and international finance. It has to represent the country in new supranational forums like the World Trade Organization. It is also the main instrument through which Americans can warrant that, as more tasks are returned to the states, social policy does not revert to the beggar-thy-neighbor conditions that prevailed in the nineteenth century—that, for instance, states are not driven to compete with each other in driving down services to the poor and disabled or in reducing environment and worker-safety regulations. Toffler is even less persuasive when he describes who is going to permit this enormous aggrandizement of state power to occur. Resorting to sheer hyperbole, Toffler warns in Powershift against "giant forces now racing toward convergence in a worldwide crusade that could, if we are not careful, sweep us into a new Dark Age." At the top of Toffler's list are Christian fundamentalists and other religious extremists who "are determined to seize power over the lives and minds of whole nations, continents, the planet itself." Then there are the "eco-theocrats" who, in contrast to "mainstream environmentalists," want to "plunge society into pre-technological medievalism and asceticism" and the "new Xenophobes" who oppose Mexican immigration and bash Japan. Granted some of these may be nasty folks, but they are miscast as the defenders of Second Wave bureaucracy and as potential allies in a new totalitarianism. In Powershift, Toffler became exactly the kind of theorist he'd warned against in his first books. Like the social critics of the '60s who thundered against the dangers of conformity and regimentation in an era when the industrial model of organization was beginning to disintegrate, Toffler warned of bureaucratic excess at a time when state power associated with the Second Wave was already under attack and crumbling. And like those critics, he reinforced his warnings with apocalyptic prophecies of breakdown and tyranny. Toffler is still well worth reading, however, when he discusses specific policies. At several points in Powershift and in the two new chapters he and Heidi Toffler wrote in 1994 for Creating a New Civilization, he advances his own argument beyond that of The Third Wave. He is particularly effective in responding to conventional liberal programs for the economy. Toffler argues, for example, that the answer to low service-sector wages is "not to bewail the relative decline of manufacturing jobs, but to increase service productivity, and to invent new forms of workforce organization and collective bargaining." That's basically right. Similarly, the Tofflers acknowledge that in the short run, competition from low-wage industrial competitors holds down wages in the U.S., but insist that in the long run, low-wage competition will prove irrelevant. "Better technology, faster and better information flows, decreased inventory, or streamlined organization can yield savings far beyond any that can be squeezed out of hourly workers," Alvin Toffler writes. Toffler, who was a strong supporter of the North American Free Trade Agreement, favors training workers to take Third Wave jobs rather than protecting Second Wave jobs from foreign competition. He prefers, he told me, the Clinton administration's plan to grant workers training vouchers over Gingrich's plan to shift responsibility for worker training to the states. 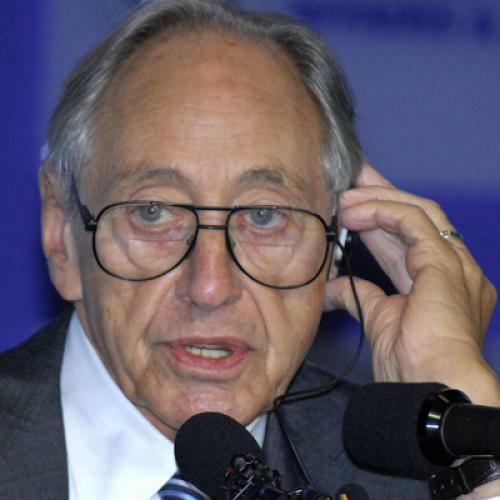 In Powershift, Toffler acknowledges that the transition to a Third Wave economy has deepened the plight of the underclass, but he rejects a program of simply pumping money into inner cities or providing tax breaks to attract industry—the kind of approach favored by Jesse Jackson, on the one hand, and by Jack Kemp on the other. "An effective strategy for reducing joblessness in a super-symbolic economy must depend less on the allocation of wealth and more on the allocation of knowledge," he writes. Unless there is some way to train inner-city workers to participate in the new economy, the money invested or the tax breaks provided will be wasted. Toffler's economic program in Powershift is to "make sure that all citizens, poor and rich alike, are guaranteed access to the widest possible range of media." That has a utopian ring to it, like Gingrich's proposal to provide a laptop to every ghetto-dweller. In Creating a New Civilization the Tofflers argue more realistically for an expansion of lower-level service jobs. They write, "America needs more, not less, service-sector employment to improve the quality of life of its people. That means jobs for everyone from electronics repairmen to recyclers, from healthcare providers and people who help the elderly to police and firefighters, and—yes—it even means jobs for childcare providers and for domestic workers who are desperately needed in millions of two-income homes." Then the problem becomes the one defined most clearly by Peter Drucker—preventing a growing gap between service workers and knowledge workers. While the Tofflers sometimes reinforce the most conservative anti-government rhetoric, they recognize that government will have to play a role in easing the strains created by the onset of the Third Wave. "Free-marketism and trickle-downism twisted into rigid theological dogmas are inadequate responses to the Third Wave," they write. Alvin Toffler recalled for me his discussion before the Reagan administration's Domestic Policy Council:"They said we have to get rid of the welfare system. I said, `Yes, but you have to have something in its place.' We could have the same conversation today." Alvin Toffler now rests his hopes for an adequate response to the Third Wave squarely on Newt Gingrich's shoulders. He's been reading Robert Blake's biography of Disraeli and sees some lessons there. "I could Xerox twenty or thirty pages of that book, and you wouldn't be able to tell whether it was about Newt or Disraeli, down to the name of his wife," Toffler said. Disraeli succeeded in overcoming the torpor and illusions within his own Tory Party to lead England into the twentieth century. Toffler is hoping that Gingrich can overcome what he calls the "fringe element" in his own party, particularly the religious right, so that he can lead this country into the Third Wave. Twenty-five years ago, Pat Moynihan recommended Blake's biography to Richard Nixon, hoping Nixon would see himself as Disraeli. It didn't work. But Toffler has some reason to hope for a better outcome. Unlike other conservative Republicans, Gingrich has never displayed a rigid faith in eighteenth-century laissez-faire economics.Unlike Bennett or Irving Kristol, he has a respect for science that doesn't permit him to condone Creationism and other forms of religious quackery. He has a lively, if not brilliant, mind and a genuine intellectual curiosity. Gingrich has also assiduously promoted the Tofflers' ideas. The Tofflers' concept of an information explosion forms the framework for Gingrich's first book, Window of Opportunity, published in 1984. Gingrich devotes a two-hour lecture in his series on "Renewing American Civilization" to "The Third Wave Information Age," which includes several video excerpts from Alvin Toffler himself. And a chapter of his new book, To Renew America, is about "America and the Third Wave Information Age." The Speaker doesn't simply mouth these ideas. As far back as 1971, he was advising the administration of West Georgia College to concentrate on creating a campus-wide computer network rather than a bigger library building. (Gingrich's recommendations were reprinted recently in Wired.) He wants government to speed the transition toward an information-based economy. That accounts for his commendable resistance to censorship on the Internet and for his support in the past for government funding of high technology and smart weaponry. But Gingrich also differs from the Tofflers—in subtle and not-so-subtle ways. He did not come to an understanding of the Third Wave through Marx and through comparing experience in an auto plant and in IBM, but through the science fiction of Isaac Asimov. Gingrich has a little boy's fascination with space travel—in Window of Opportunity he advocated a new "space populism," and in To Renew America he predicts that by 2020 honeymoons in space will be in vogue. More important, he is afflicted by the same facile technological determinism that pervaded Future Shock but that the Tofflers later abandoned. In his lecture on the Third Wave, for instance, Gingrich attributes the change in dress codes around the world to the proliferation of blue jeans. In fact, it's the reverse. Dress codes have changed as nations have adopted the culture of the Third Wave, which is itself a product of changes in work life that began in the U.S. during the 1950s. Technological determinism also shapes Gingrich's thinking about policy. This year, he proposed solving the problem of the ghetto by providing a free laptop to every teenager. It's an idea that assumes that the mere introduction of the technology—like the introduction of gunpowder in Japan in the nineteenth century—will transform deep-seated social patterns. In the face of ridicule (and of demands to know where the money would come from), Gingrich temporarily withdrew his suggestion, but he has returned to it in his latest lectures. Gingrich has also adopted the Tofflers' rosy view of a decentralized Third Wave capitalism while failing to acknowledge its darker side. In To Renew America, for instance, Gingrich rhapsodizes about a "revolution in goods and services that will empower and enhance most people." "Imagine a morning in just a decade or so," he goes on. "You wake up to a wall-size, high-definition television showing surf off Maui.... You walk or jog or do Stairmaster while catching up on the morning news and beginning to review your day's schedule. Your home office is filled with communications devices, so you can ignore rush-hour traffic." Gingrich sees no pitfalls in the growth of new media and information conglomerates, insisting that like IBM they will eventually be curbed by new competitors armed with new ideas. He has advocated complete deregulation of telecommunications and wants to eliminate entirely the Federal Communications Commission. Far more than his gurus the Tofflers, he is willing to rest his faith entirely on the magic of the free market. Gingrich has quarreled repeatedly with the Tofflers over abortion, school prayer and other points on the religious right's agenda. But the differences actually run deeper. Alongside his technological determinism, Gingrich espouses a secularized version of a religious view of history. He sees large-scale historical change as the direct result of the good or evil deeds of leaders rather than as the product of broader social and economic forces. In To Renew America, he explains American history since 1965—from family breakdown to falling wages—as the result of a "calculated effort by cultural elites to discredit this civilization and replace it with a culture of irresponsibility." This view of history is entirely inconsistent with the attempts of the Tofflers, and of Peter Drucker, Daniel Bell and others, to comprehend the new global future. It dwells entirely on the surface of events, letting the ghosted speeches of politicians guide its assessment of underlying causes. It ignores what Hegel called the "cunning of reason" that defies individual wills. In its contemporary version—as articulated by Gingrich, Bennett or Robertson—it abandons the Enlightenment view of history for the religious right's apocalyptic fears of spiritual and moral decline. Is Gingrich simply currying favor with the Republicans' evangelical base? Or is he really of two minds about the meaning of history? The answer isn't obvious—which ought to make the Tofflers skeptical about whether they have found their voice in the new political era. Toffler may have gotten to tell the punch line of his three-decade-long joke, but it's not yet clear whether Gingrich, let alone the other Republicans and Democrats in Congress, have really gotten it. This article appeared in the October 9, 1995, issue of the magazine.